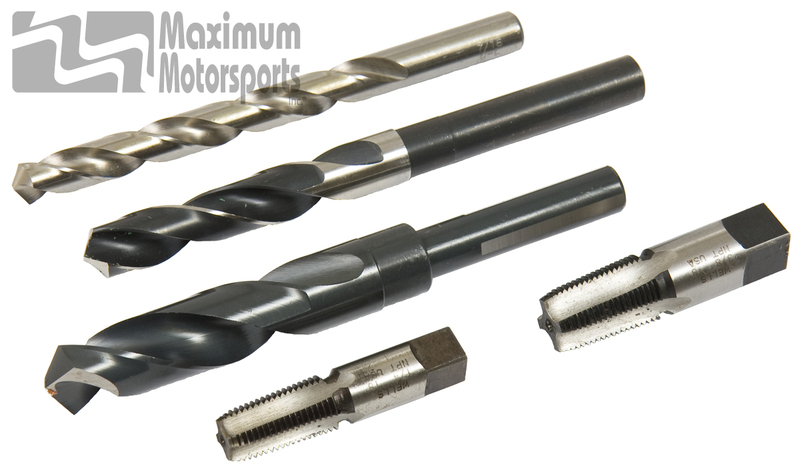 There is no need to spend time searching for the proper taps and drill bits with this Maximum Motorsports Tool Package. Includes the thread taps required to install the OC-10 MM IRS Differential Cooler, and the correct matching drill bits for those taps. Thread taps included are 1/4-18 NPT and 3/8-18 NPT; drill bits included are 7/16", 9/16" reduced shank, and 3/4" reduced shank.